Gambling at the Admiral Casino: The Lion can be a great experience. 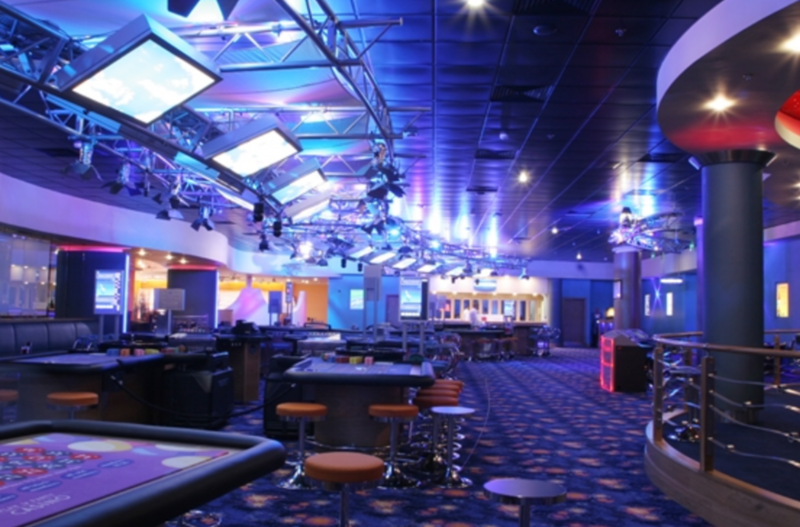 There are so many casinos in the vicinity of Nottingham and you might be wondering why you should prefer this casino over the rest. Well, there are a few reasons why you should consider this venue for your night time entertainment options. If you are a fan of electronic slots, this casino has a lot of options for you. At least, those who have gone to this casino say that they have a great selection when it comes to electronic slots. The game titles include the popular classics and also the latest releases. This is one of the best and most relaxing ways to gamble. If you have a specific preference in terms of themes, there is a high chance that you can find it here. What is great about the Admiral Casino is the fact that you get a lot of offers on a daily basis. This is their way of encouraging their patrons to come for a visit as often as they can. 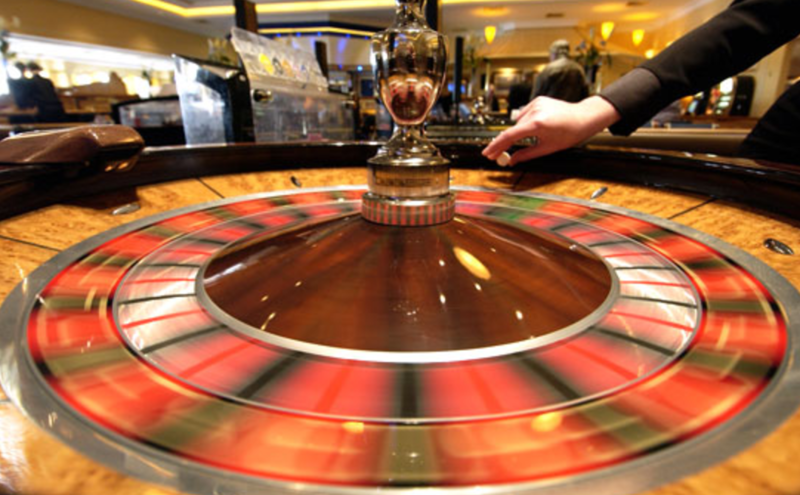 The rewards that they offer are surely something that will attract, not just regular patrons, but also new gamblers. If the staff is informed that you are a new player, they will give you special treatment. In fact, there are special offers for new customers. All casinos have their own bars and restaurants. But in this casino, you can choose to have your food and drinks catered to you beside the machine you are playing. The gaming environment, in itself, is pretty impressive. But when you combine it with the service and the quality of food and drinks, you will be impressed. Finally, this casino is easy to find and go to. It is right on Clumber Street with ample parking slots. The Trinity Square is also nearby. If you do not have a car, you can use the Tram Routes and Bus services. As you can see, there are so many reasons why you should try out the Admiral Casino: The Lion in Nottingham. It is worth visiting one of these days – or nights. Glamorous Gambling and Glorious Grub – Brought to you by Gala Coral Group Ltd., one of the largest casino operators in the world. 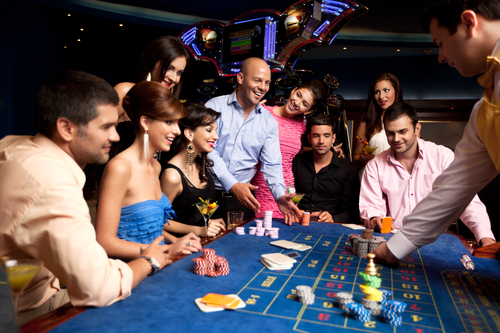 Gala Casino lives up to its name, bringing you one of the most exciting casinos around. Running 24/7 and buzzing with a lively atmosphere, there’s not a beat to be missed. Whether you want to spend some time hitting it big at the slots, enjoying an exciting game of blackjack, or trying out your best poker face at Texas Hold ’em, you’ll definitely be spoilt for choice with the great selection of live tables and the vast variety of regular and video slots. At Gala, the games are just the tip of the iceberg. The real purpose of the establishment is entertainment, and boy do they deliver! The bar offers an extravagant collection of fine wines and spectacular spirits sourced from all the corners of the globe. They also have a superb cocktail menu and serve a selection of some seriously seductive cocktails, which are 2 for 1 during happy hour on Wednesdays! Feeling peckish? Look no further than the nice and cozy casino restaurant. The diverse menu is packed with a choice of dizzyingly delicious dishes, sure to tantalize taste buds and please even the pickiest of eaters! Be it tasty Tapaz, phenomenal Fish, sizzling steak or the Chef’s award winning Persian spiced chicken. If you like a grand finale or simply have a budding sweet tooth, the decadent deserts don’t dare to disappoint. Gala is not a just a casino; it’s an experience. There’s never a dull moment. With screenings of all the key sporting events happening, regular cocktail hours, and bingo nights, there’s something for just about everyone. Ticking all the right boxes, the Grosvenor establishment outdoes itself in providing a truly exceptional and unparalleled casino experience. Friendly and skilled staff, fantastic atmosphere, the alluring ambiance and customer reward incentives set the bar in the industry. It’s a full package tailored and guaranteed to make for an unforgettable night that will have you coming back for more! Still not enough? It doesn’t have to end there. What’s more, is that now you can take Gala with you when you go! The online casino portal brings the experience to you, wherever you may be; live tables, video games and slots, cards, poker, and as of recently, sports betting; it’s just like the real thing but at the tip of your fingertips. You really couldn’t ask more from a casino and the regulars at Gala would quickly tell you the same thing. From a full-service brick and mortar to a state-of-the-art mobile environment, the folks behind the casino care about their customers before anyone else. If you’re out and about in Nottingham, it’s worth noting that casinos aren’t the only locations to place a punt, and while playing the slots and tables can be good sometimes it’s just good to get out and about away from the city. If you’re looking to see a man about a bet on a horse, then the Nottingham Racecourse is for you. The site features two separate racetracks, with each one being used at different times of the year. The tracks are about one and a half miles long and are both left-handed. One has a five-furlong straight while the other has a six furlong straight, and they both have mostly easy turns. The spectator side of the course is also split into two parts – the Premier Enclosure and the Grandstand Enclose. The former has better views as well as access to the Sherwood restaurant and a private lawn. The latter allows access to the Winners’ Enclosure, as well as various places to eat and bet. As far as betting goes, it works like most racecourses. In addition to the venue’s tote there are also many separate bookmakers about, so when you’re there, it’s worth looking around for the best odds. If you’re new to racecourse betting then you should know that your bet is pooled, so your winnings depend on the number of other punters. Additionally, there are two main bets you can place on the races – a win-only and an each-way. The first is fairly self-explanatory – you win if your horse does. An each-way means you win if the horse places in the top three. An each-way usually costs more to place but has considerably better odds. Betting isn’t the only thing to do. While the horses are the main attraction, there are other things to help make the day pleasant too. The site has its own high-class restaurant – Sherwood’s – as well as numerous food stands and other places to eat, such as a fish and chips place and a café bar. There are also some other regular bars. You can also bring your own food and make a picnic of it; the sites lawns and open spaces make it ideal. It is worth noting that while you can purchase alcohol on site, you can’t bring it in with you. If you want to stay overnight, the Nottingham Racecourse is still quite close to the city itself, so there are numerous hotels for you to stay in, and the racecourse’s proximity to the city centre means you can visit both in a single trip quite easily. The closest accommodation to the racecourse itself is probably the Colwick Hall Hotel, a renovated Georgian stately home which has views over the course itself. If you plan on going to the races, there are a couple of things that might be worth bringing. One of these is cash – you can pay the tote by card but many of the individual bookies will only accept cash. Remember too that if you bring a camera you have to disable the flash. A pair of binoculars can come in handy if you want to see the horses from far out as well. 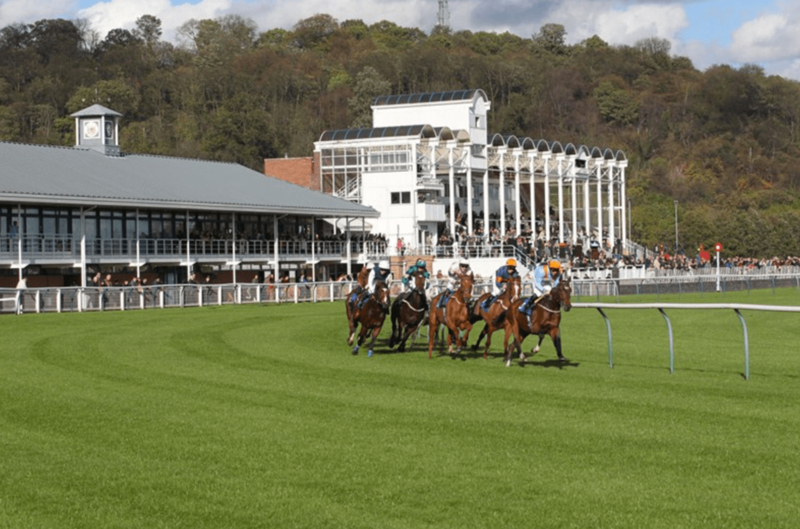 The site hosts numerous races but also other events such as concerts, so it’s worth checking to see what’s on as betting isn’t the only thing available. 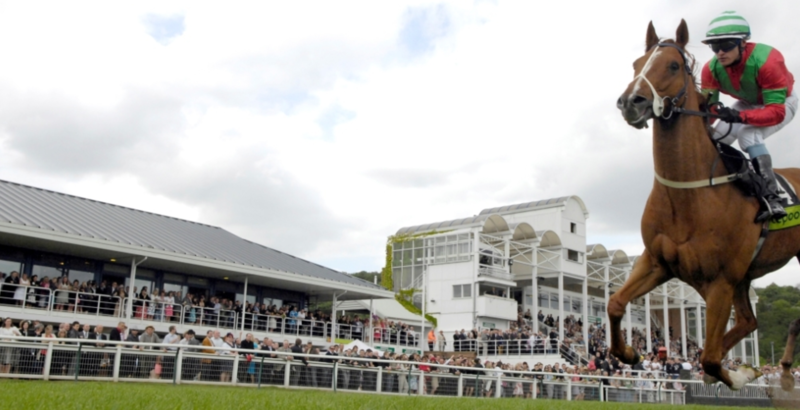 The racecourse’s website has a calendar available for you to see what’s on. Whatever might be going on, it’s a fine place for a day out if you live in Nottingham or are just visiting. Here comes a story about a good night at the Nottingham casino. I went there Saturday night last weekend with my good old friend James. We bought said we would stop by and play some poker. The strategy for both of us was to be there for about 1 hour. Play a tight game and then get the money in and leave. The night didn’t really go according to plans though. The first problem was the we lost about £100 before we even reached the poker tables. James insisted on us playing some blackjack first. Let me tell you this, that was not a good idea. We lost all that in less then 15 minutes. So with a bit of damaged confidence we ended up sitting down at the poker table. The plan was to play tight but I ended up as one of the more loose player on the table. It was however something that happened just because I kept getting premium hands every third hand basically. The stakes we played was £1/2 with a £200 buy in. I doubled up to £400 on one of my early hands. A older man on the button raised to £10 on the cut off and I called with J,10 on the button. Flop was j,5,6 rainbow. He then checked and I bet half pot. He then check raised me and I basically realized his a fish by then. I was still worried about this situation though as I felt he might have a better hand. I called his raise and turn was a 10. He then betted pot and I went all in and he called. He showed pocket king and my top two pair stood up as the river was a blank card. About 10 minutes later it was my turn to have pocket kings. A younger player at the table then raised and I 3 betted him preflop. He called me and flop was queen high. He betted I called him. Turn was a low card and he bet again and I called. River was another queen and he went all in. Now I felt horrible but decided to call that bet anyway. Turns out he had pocket jacks and I won another pot, this time the size of it was £600. I was now up £500 in less then 15 minutes at the poker table. Thank god we didnt stay any longer at the blackjack table. Meanwhile James kept loosing most of his hands so it really wasn’t his night at all. We decided to leave after 1 hour and went out to the Nottingham night life. I ended up paying for the alcohol and entrance fee´s this night so at the end of the day also James could have a smile on his face.